LISTENER ALERT- There is another radio station, Fox 98.5 KDFO from Bakersfield that overrides our broadcast especially in the Bootjack area. KDFO, which is owned by iHeart Communications (formerly Clear Channel,) on occasion, in our opinion, plays questionable and objectionable content. 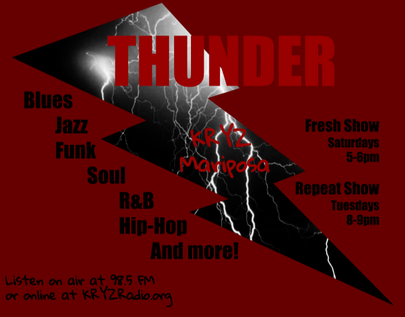 Please note that this is NOT KRYZ-LPFM Mariposa Community Radio. We here at KRYZ strive to keep our content clean and civil. Tuesday and Thursday 6:00 to 6:30 pm. Sunday 2:00-2:30 pm and Tuesday 6:30-7:00 pm. Tuesdays from 7:00 to 8:00 pm and Friday nights from 7:00 to 9:00 pm, with your host Rooster. Hosted by D Muddy every Saturday at 5 pm and Tuesday at 8 pm. 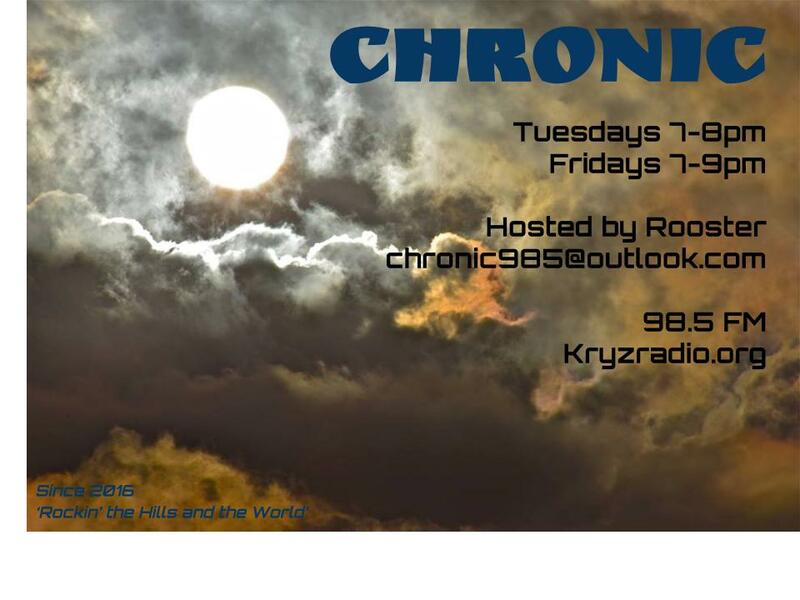 I hope you all have enjoyed our radio KRYZ-LPFM 98.5 and www.KRYZRadio.org. We strive to give you our supporters and listeners the best we can. We're still very young and working to make our community radio the best. We have many proposed shows that we hope you will find informative, inspirational and entertaining. As always we ask for your feedback to let us know what you would like to hear. Because we are a low-power FM radio station, our coverage is limited on FM so in order to expand our limited coverage, we implemented a internet radio that simultaneously streams our FM broadcast so for those that are out of reach of our FM coverage, they would be able to listen to our broadcast via the internet. Late last year, the Copyright Royalty Board which is suppose to regulate the licensing fees, decided not to renew the Small Webcasters Settlement Act which was the protection for small internet radio stations allowing them to pay a smaller fee that was in line with their listener-ship and enabled small internet radio stations such as we are, to afford to serve their communities. What this means is that we - www.KRYZRadio.org - now have to pay 5 times the amount that we paid in December of 2015. To keep our internet radio station on the air we are asking you, our listeners and supporters to subscribe to our radio station. Our subscription fee is Bronze - $10, Silver - $20 or Gold - $50. Although subscriptions are not mandatory and we will continue to provide our listeners with free access, your subscription will allow us to stay on the air. Click the button below to start streaming KRYZ Radio. If the sound is jumpy, close player and click button below again. KRYZ Radio is supported by listeners like you. Please consider donating to keep us running. Thanks! We only send emails with KRYZ News, Updates and Announcements. We’re optimistic that a solution can be found to allow many small commercial webcasters to continue to operate, and ensure that great music continues to get played and artists continue to get paid—directly, transparently and fairly. Please help KRYZ-LPFM and www.KRYZRadio.org by going to the link below and signing up AND spread the word. The Yosemite Mariposa Tourism Bureau has generously donated $1,000 to Mariposas own Radio Station, KRYZ LPFM. The funds will help purchase the "Emergency Broadcast System" equipment necessary for broadcasting. The Station will work with the Tourism Bureau to help provide services to visitors as well as local programming provided by our community. KRYZ Radio is a local community Internet radio station dedicated to supporting, informing and entertaining the Mariposa and surrounding communities. KRYZ Radio is a project of the Mariposa Community Radio, a 501(c)3 non profit organization. We hope you enjoy our programs and we encourage anyone who would like to host a program or volunteer to submit a program proposal or request to volunteer using the Contact page.